Why didn't I think to register for this china when I got married? 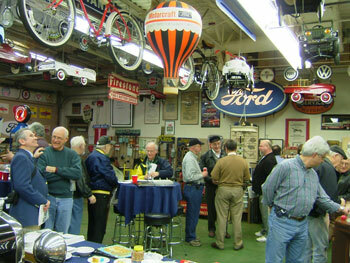 The Piquette Ts and T-Plex members were awed by the enormous collection of Ford memorabilia at William “Bill” Vicary’s private Ford museum on March 27th. 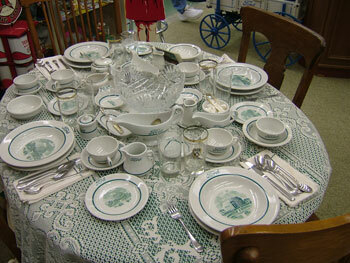 Bill’s collection, amassed over more than 50 years, contains several thousand items, many of them one of a kind. 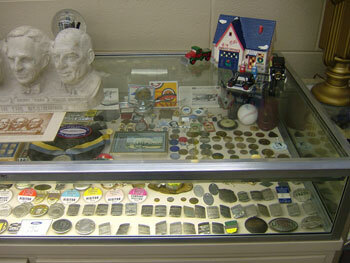 Much of the building’s interior floors, walls and ceiling are covered by interesting items or filled with display cases. Also on exhibit are part of his collection of Model As and his 1956 Thunderbird. 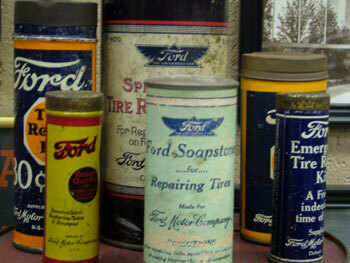 This amazing collection has been featured in several newspaper stories, a 2 page story in 2004 in “Ford World” (the company’s monthly employee newspaper), and Crain’s Detroit Business’ Ford Motor Company Centennial Issue. 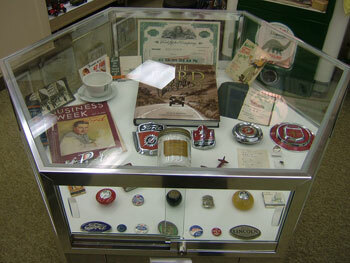 In addition, all of the Ford memorabilia featured in the book, “The Ford Century: Ford Motor Company and Innovations That Shaped The World” came from this collection. More than 300,000 copies of this coffee table style book were distributed to Ford employees world wide during the company’s Centennial Celebration in June 2003. The fastest club meeting ever was held because the attention of all of the members was focused on the vast amount of Ford items---better luck next time! Thanks for hosting such a great event, Bill!